Table 1. The primary characteristics of the eligible studies in more detail. Table 2. Systematic evaluations of AEs. Idiopathic membranous nephropathy (IMN), which is considered one of the most common causes of nephrotic syndrome in adult patients, is frequently managed with immunosuppressive agents. Both tacrolimus (TAC) and cyclophosphamide (CTX) are recommended as immunosuppressive agents in the management of IMN. However, profound effects and moderate evidence on the two drugs remains poorly defined at this period. The meta-analysis aims to summarize current best evidence on the efficacy as well as safety of TAC and CTX among IMN patients. We searched the publications on comparison of the safety and efficacy of TAC versus CTX for IMN up to April 2018. After rigorous reviewing on the quality, the data was extracted from eligible trials. All trials analyzed the summary hazard ratios (HRs) of the endpoints of interest. Moderate-strong evidence indicated that tacrolimus and cyclophosphamide had comparable effects on remission rate (either CR or PR) (p>0.05). No significant differences were found in the following parameters: the rates of diarrhea, glucose intolerance (or diabetes mellitus), gastrointestinal syndrome, as well as hypertension because of adverse effects (p>0.05). However, patients with TAC therapy had a higher chance to develop urinary tract infection (p=0.010) and tremor (p=0.006). Additionally, remarkably higher risk existed in leukopenia among the CTX group as compared with the TAC group (p=0.03). This meta-analysis presents a comprehensive assessment of current available evidence for the therapy of IMN, indicating a comparable remission rate with both TAC and CTX, while the long-term effects are needed for further verification. Nevertheless, different adverse effect profiles of two groups need careful consideration. Remarkably higher rates of urinary tract infection and tremor were observed among TAC group, while higher risk of leukopenia was found among CTX group. Further research into the treatment efficacy of both drugs is warranted to confirm the present conclusions. La nefropatía membranosa idiopática (NMI), que se considera una de las causas más comunes del síndrome nefrótico en pacientes adultos, se trata con frecuencia con inmunodepresores. Tanto el tacrolimus (TAC) como la ciclofosfamida (CTX) se recomiendan como inmunosupresores en el tratamiento de la NMI. Sin embargo, los efectos profundos y la evidencia moderada de los 2 fármacos continúan estando mal definidas en este período. El metaanálisis pretende resumir la mejor evidencia actual sobre la eficacia y la seguridad del TAC y la CTX entre los pacientes con NMI. Se realizaron búsquedas de publicaciones sobre comparación de seguridad y eficacia del TAC frente a la CTX para la NMI hasta abril de 2018. Después de una revisión rigurosa de la calidad, los datos se extrajeron de los ensayos idóneos. Todos los ensayos analizaron los cocientes de riesgo instantáneos resumidos de los criterios de valoración de interés. La evidencia moderada-sólida indicó que el TAC y la CTX tuvieron efectos comparables en la tasa de remisión (remisión completa o remisión parcial) (p>0,05). No se encontraron diferencias importantes en los siguientes parámetros: tasas de diarrea, intolerancia a la glucosa (o diabetes mellitus), síndrome gastrointestinal, así como hipertensión por efectos adversos (p>0,05). Sin embargo, los pacientes con TAC como tratamiento tuvieron mayor probabilidad de desarrollar infección urinaria (p=0,010) y temblor (p=0,006). Además, existía un riesgo notablemente mayor de leucopenia entre el grupo que tomaba CTX que en el grupo que tomaba TAC (p=0,03). Este metaanálisis presenta una evaluación exhaustiva de la evidencia disponible actualmente sobre el tratamiento de la NMI, que indica una tasa de remisión comparable con TAC y CTX, mientras que los efectos a largo plazo son necesarios para una comprobación adicional. Sin embargo, el perfil de diferentes efectos adversos de 2 grupos debe considerarse cuidadosamente. Se observaron tasas notablemente más altas de infección urinaria y temblor entre el grupo que tomaba TAC, mientras que se encontró mayor riesgo de leucopenia entre el grupo que tomaba CTX. Es necesaria investigación adicional sobre la eficacia del tratamiento de ambos fármacos para confirmar las conclusiones actuales. Debates exist regarding the treatment of IMN due to various potential types with the progression of IMN. Steroids plus immunosuppressive therapy (IST) has been recommended according to Kidney Disease Improving Global outcomes (KDIGO) guidelines for patients who are at an increased risk for developing ESKD. The combination of corticosteroids with ISTs, including cyclophosphamide (CTX), chlorambucil,4 cyclosporine (CSA),5 tacrolimus (TAC)6 and rituximab,7 has been thought to be the current available treatment protocols. However, the profound influence of different immunosuppressive agents remains equivocal according to previous randomized controlled trials for the ideal therapy options with higher response and lower adverse effects for IMN. The activation of immune response has been generally proven to be associated with the inhibition of calcineurin inhibitors through the down-regulation of interleukin-2 transcription, which is also a pivotal immunological process for T cell activation in IMN.8 TAC is one of the valid alternative therapy method toward treating IMN as a new type of calcineurin inhibitor (CNI) according to a placebo-controlled randomized trial in some reports.6 Despite the favorable effects on the IMN patients, TAC has no association with remarkable increase of glucose intolerance as well as infections. Current treatment protocols with the use of oral corticosteroids in combination with cyclophosphamide (CYC) have demonstrated beneficial efficacy in patients with nephrotic syndrome in several prospective trials.4,9,10 However, the increased risk of adverse events should not be ignored due to its influence on the renal function, which limits its clinical use. Furthermore, several studies were conducted to investigate the overall therapy effects as well as the safety of the combination of TAC-corticosteroid with cyclophosphamide (CTX)-steroid,11–14 but showing conflicting results. There has been much debate concerning the assessment of tacrolimus with cyclophosphamide, both combined with corticosteroids for IMN treatment. Here, the present meta-analysis was conducted for the comparison of the overall efficacy and drug safety of tacrolimus and cyclophosphamide in IMN patients. Two investigators independently searched electronic databases: PubMed, Embase, Cochrane library up to April 2018. The process was established to find all articles with the keywords: “Idiopathic membranous nephropathy” AND “cyclophosphamide”, AND “tacrolimus”. Medical Subject Heading (MeSH) terms that were associated with this meta-analysis were used. The reference lists of all articles that dealt with the topic of interest were also hand-searched to check for additional relevant publications. Studies that met the following criteria should be included in the meta-analysis: (1) the studies were designed as randomized controlled trials; (2) the studies were designed to compare TAC-corticosteroid with a CTX-steroid combination therapy; (3) articles involving IMN patients; (4) the end-point of interests were efficacy (complete or partial remission) and drug-related toxicity (incidence of severe adverse effects (SAEs)), and HRs with corresponding 95% CIs were provided; if duplicated or overlapped data were found in multiple studies, the one with complete data were included. The quality of the retrieved studies was assessed by two reviewers separately. The risk of bias items (ROBI) that have been recommended by The Cochrane Handbook for Systematic Reviews of Interventions were utilized. Two authors independently extracted the relevant data from each trial. Disagreement was settled by discussion. The main categories based on the following parameters from the eligible studies: family name of first author, year of publication, study period, follow-up period, main outcomes. We extracted the corresponding hazard ratios (HRs) and risk ratios (RRs) to describe the outcomes of interest data, respectively, with its 95% confidence intervals (CIs). In the pooled analysis, the endpoints of interest included remission rate and SAE data, and lnHRs and the their lnLLs and lnULs were directly extracted as data points with reported HRs and corresponding 95% CIs. Based on heterogeneity of the current study, we performed a sensitivity analysis to further assess the overall results. The heterogeneity across studies was examined through the I2 statistic,15 describing as followed respectively: low, 25–50%; moderate, 50–75%; or high, >75%.16 We applied the fixed-effect models to calculate the total HRs when low heterogeneity showed in studies. In other cases, we used the random effects model. All analysis was conducted through the use of Review Manager version 5.3 software (Revman; The Cochrane collaboration Oxford, United Kingdom). Studies with a p value less than 0.05 was thought to have statistical significance. Forest plots showed the findings of our meta-analysis. To assess the publication bias, the Begg test and the Egger test were conducted. Totally, 318 publications were identified originally for evaluation. Based on the criteria described in the methods, 11 publications were evaluated in more detail, but some did not provide enough detail of outcomes of two approaches. Therefore, a final total of 6 RCTs11–13,17–19 met the criterion, and the 2 papers of Ramachandran are the same study with different follow-up time at 12 and 24 months. The search process is described in Fig. 1. PRISMA flow chart of selection process to identify eligible studies for pooling. All included studies in this study were based on evidence with moderate to high quality. Table 1 describes the primary characteristics of the eligible studies in more detail. The primary characteristics of the eligible studies in more detail. Pooled data of the OR from five studies showed that no significant differences were found in the IMN patients in terms of favoring tacrolimus compared with the cyclophosphamide group (OR=1.15; 95% CI, 0.43–3.07; p=0.78) (Fig. 2). Pooled analysis of overall remission (OR) rates in comparison of TAC and CTX groups. We applied the random effects model to pool the ischemic stroke recurrent data, since the heterogeneity across the five studies was significant. The pooling CR data did not show advantage in the tacrolimus or cyclophosphamide groups (OR=1.34, 95% CI=0.38–4.66, p=0.65) (Fig. 3). Pooled analysis of complete remission (CR) rates in comparison of TAC and CTX groups. For the partial remission rate, no significant differences compared tacrolimus and cyclophosphamide groups were observed (OR=0.84, 95% CI=0.38–1.89, p=0.68) (Fig. 4). Pooled analysis of partial remission (PR) rates in comparison of CTX and TAC groups. Systematic evaluations of AEs data analysis are shown in Table 2. The most common treatment-related adverse events are diarrhea (OR=0.84, 95% CI=0.25–2.85, p=0.79), glucose intolerance (or diabetes mellitus) (OR=1.91, 95% CI=0.55–6.64, p=0.31), gastrointestinal syndrome (OR=0.73, 95% CI=0.31–1.73, p=0.48), and hypertension (OR=2.35, 95% CI=0.75–7.36, p=0.14), and there was no statistical significant difference between the two groups. The adverse events differed in sensitivity analysis in developing urinary tract infection (OR=0.35; 95% CI, 0.15–0.77; p=0.010) and tremor (OR=10.65; 95% CI, 1.95–58.25; p=0.006) with patients treated with tacrolimus. Increased risk of leukopenia was identified among cyclophosphamide group with significance as compared with the tacrolimus group (OR=0.14; 95% CI, 0.03–0.83; p=0.03). IMN, a slowly progressive disease of the kidney, is currently regarded as one of the most common causes of nephrotic syndrome (NS) in adult patients.20 Through the complement-mediated injury of the podocyte and its slit pore membrane, the glomerular capillary permeability could be altered by in situ formation of subepithelial immune deposits,21 and the occurrence as well as the progression of IMN is highly associated with abnormal activation of the immune system. TAC has demonstrated more beneficial effects of immunosuppression with acceptable adverse effects for patients with IMN,6 whereas according to other investigators, the CTX-steroid combination appeared to be safer and more effective.25 There is no consistent or supportive data on the comparison of tacrolimus and cyclophosphamide. The current concise meta-analysis details the remission, tolerability and side effects of the two drugs, which are important factors for IMN treatment. Our results showed similar remission rates using TAC as the experimental group and CTX as the control group based regimens toward the treatment of IMN but with a different side-effect profile. There were several reasons that may contribute to the present results. Firstly, the short-term follow-up of the included trials would generate more doubtful outcomes. As suggested by Xu’ study,11 the combination of tacrolimus and corticosteroids was a valid alternative option with tolerable side effects after 18 months’ observation for patients with persistent nephrotic proteinuria. In Ramachandran’ study,18 taking the final clinical response into account, the TAC based regimen needs long-term follow-up, since more than half of the patients relapse after stopping calcineurin inhibitors. In addition, no superior effects could be found in tacrolimus as compared with CTX after 6 months.13 With respect to the clinical response, beneficial effect could be observed for long-term prognosis in CR,26 and the risk of renal failure could be reduced through achieving PR independently.27 Therefore, more detailed trails with longer follow-ups are warranted to further confirm the above results. Admittedly, there were a few limitations in the current study that should not be ignored. First, the imbalance existed between the two groups due to different quality and the different definition of CR and PR of the included studies, and findings of the current study might be affected by the clinical heterogeneity among trials. Second, the current study on long-term remission rate for the efficacy of the drugs provided insufficient data. Thirdly, rate of relapses is another important evidence to help to inform decision-making when choosing the standard treatment option for IMN patients. The therapeutic attempts are justifiable if the lower rate of relapses can be achieved. While, the current study on the rate of relapses provided insufficient data. Thus, there was no strong statistical evidence to analyzed. In conclusion, aggregated results indicated that tacrolimus and cyclophosphamide had comparable effects on remission rate as well as tolerable adverse events in the treatment of IMN patients. However, more detailed and high-quality RCTs with longer follow-ups are warranted in order to provide direct and strong evidence for the comparison of TAC and CTX. A. Schieppati, L. Mosconi, A. Perna, G. Mecca, T. Bertani, S. Garattini, et al. Prognosis of patients with idiopathic membranous nephropathy. E. Honkanen, T. Tornroth, C. Gronhagen-Riska. Natural history, clinical course and morphological evolution of membranous nephropathy. C. Ponticelli, P. Altieri, F. Scolari, P. Passerini, D. Roccatello, B. Cesana, et al. A randomized study comparing methylprednisolone plus chlorambucil versus methylprednisolone plus cyclophosphamide in idiopathic membranous nephropathy. D.C. Cattran, C. Greenwood, S. Ritchie, K. Bernstein, D.N. Churchill, W.F. Clark, et al. A controlled trial of cyclosporine in patients with progressive membranous nephropathy. Canadian Glomerulonephritis Study Group. 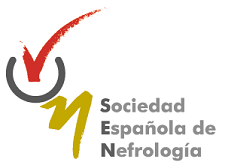 M. Praga, V. Barrio, G.F. Juarez, J. Luno, Grupo Espanol de Estudio de la Nefropatia M..
Tacrolimus monotherapy in membranous nephropathy: a randomized controlled trial. P. Cravedi, G. Remuzzi, P. Ruggenenti. Rituximab in primary membranous nephropathy: first-line therapy, why not?. T.H. Westhoff, M. van der Giet. Tacrolimus in the treatment of idiopathic nephrotic syndrome. R.K. Gupta, K. Sud, T.T. Saha, A. Ganguli, K. Joshi, V. Jha, et al. M. Faurschou, I.J. Sorensen, L. Mellemkjaer, A.G. Loft, B.S. Thomsen, N. Tvede, et al. Malignancies in Wegener's granulomatosis: incidence and relation to cyclophosphamide therapy in a cohort of 293 patients. J. Xu, W. Zhang, Y. Xu, P. Shen, H. Ren, W. Wang, et al. Tacrolimus combined with corticosteroids in idiopathic membranous nephropathy: a randomized, prospective, controlled trial. L. He, Y. Peng, H. Liu, Y. Liu, S. Yuan, F. Liu, et al. M. Chen, H.Y. Wang, H. Li, X.W. Li, X.Y. Li, J.H. Chen, et al. Tacrolimus combined with corticosteroids in treatment of nephrotic idiopathic membranous nephropathy: a multicenter randomized controlled trial. X. Li, R. Lv, Q. He, H. Li, X. Du, W. Lin. Early initiation of tacrolimus or cyclophosphamide therapy for idiopathic membranous nephropathy with severe proteinuria. J.P. Higgins, S.G. Thompson, J.J. Deeks, D.G. Altman. R. Ramachandran, A.K. Yadav, V. Kumar, S.T.P. Venkata, R. Nada, R. Ghosh, et al. Two-year follow-up study of membranous nephropathy treated with tacrolimus and corticosteroids versus cyclical corticosteroids and cyclophosphamide. R. Ramachandran, H.K. Hn, V. Kumar, R. Nada, A.K. Yadav, A. Goyal, et al. Tacrolimus combined with corticosteroids versus Modified Ponticelli regimen in treatment of idiopathic membranous nephropathy: randomized control trial. L. Peng, S.Y. Wei, L.T. Li, Y.X. He, B. Li. P.W. Mathieson, A.N. Turner, C.G. Maidment, D.J. Evans, A.J. Rees. Prednisolone and chlorambucil treatment in idiopathic membranous nephropathy with deteriorating renal function. A. Pozdzik, I. Brocheriou, C. David, F. Touzani, J.M. Goujon, K.M. Wissing. [Practice guideline and trends for immunosuppressive treatment of glomerulonephritides according to KDIGO (Clinical Practice Guideline for Glomerulonephritis)]. J. Yuan, W. Fang, W. Zhang, Z. Ni, J. Qian. Treatment of nephrotic idiopathic membranous nephropathy with monthly i.v. pulse cyclophosphamide and oral steroids: a single centre's retrospective study. B.J. Laluck Jr., D.C. Cattran. Prognosis after a complete remission in adult patients with idiopathic membranous nephropathy. S. Troyanov, C.A. Wall, J.A. Miller, J.W. Scholey, D.C. Cattran, Toronto Glomerulonephritis Registry G..
Idiopathic membranous nephropathy: definition and relevance of a partial remission. M.D. Sinha, R. MacLeod, E. Rigby, A.G. Clark. Treatment of severe steroid-dependent nephrotic syndrome (SDNS) in children with tacrolimus. J.M. Francis, L.H. Beck Jr., D.J. Salant. J.M. Hofstra, H. Debiec, C.D. Short, T. Pelle, R. Kleta, P.W. Mathieson, et al. Phospholipase A2 receptor antibodies in membranous nephropathy: unresolved issues. D. Kanigicherla, J. Gummadova, E.A. McKenzie, S.A. Roberts, S. Harris, M. Nikam, et al. Anti-PLA2R antibodies measured by ELISA predict long-term outcome in a prevalent population of patients with idiopathic membranous nephropathy. L. Beck, A.S. Bomback, M.J. Choi, L.B. Holzman, C. Langford, L.H. Mariani, et al. KDOQI US commentary on the 2012 KDIGO clinical practice guideline for glomerulonephritis. J.M. Hofstra, A.J. Branten, J.J. Wirtz, T.C. Noordzij, P.W. du Buf-Vereijken, J.F. Wetzels. R. Song, W. Ying, X. Li, T. Tadashi, J. Meg, L. Guisen, et al.